The combined therapy for ASD was initiated at the Mahatma Gandhi Memorial Government Hospital (MGMGH) in Tamil Nadu, India, last September, and it has witnessed high demand among the general public ever-since, as at least 25 children with developmental disorders are being treated here every day. Combined Therapy is a combination of therapies from Ayurveda, Siddha, Yoga, Naturopathy and Varma, and is a one-of-a-kind initiative in Tamil Nadu. According to officials from AYUSH, the success of integrated therapy is the main reason for the increased demand and acceptance among people. According to the District Shiddha Medical Officer, Dr. S. Kamaraj, if a child with ASD is subjected to this therapy at a very young age (under three years of age), the chances of improvement is very high, and the child will be able to attend normal school by the age four or five, rather than having to go to a ‘special’ school. When a child is brought for this integrated therapy, the procedure followed is that the child would be taught yoga, followed by mud therapy (using mud pack in eye and abdomen). This is done for improving blood circulation and strengthening of limbs. Thereafter, the child would be provided colour therapy, massage therapy and varma therapy for sensory stimulation. After these therapies, the child would receive ayurvedic external therapies such as Panchakarma and Shirodhara for improving attention skills. These ayurvedic therapies are provided towards the end of treatment, as it requires a great deal of patience, and this needs to be taught to children with ASD. Apart from Yoga and Ayurveda, medicines from Siddha and Homeopathy are also included during the course of therapy, as these together may help better the condition of the child, although this cannot be a permanent cure, experts said. 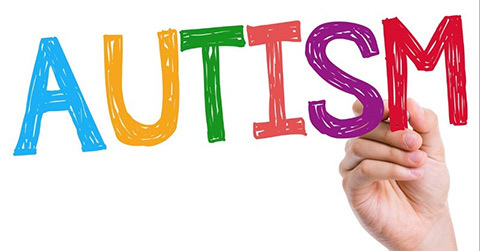 Meanwhile, according to doctors, one major challenge that they face here is that the children with ASD are brought for treatment only after the age of eight, as they refuse to admit that their children have ASD. But, it is important for parents to realize that the more they delay the treatment, the effectiveness of the therapy would also decrease considerably, said Yoga and Naturopathy doctor at MGMGH, Dr. Isai Amuthu. Delay in speech is commonly seen in children with ASD, and therefore, if the right therapist is hired to provide this therapy too, the results would be best, he said. Ayurveda believes that a child, diagnosed with ASD has an increased vata dosha, as the child exhibits symptoms such as difficulty focusing, restlessness, anxiety and trouble learning. Therefore, as part of ayurvedic treatment, a massage (preferably ‘Abhyanga’ or oil massage) is included as a morning routine, before a shower or bath, as it helps reduce excess vata and calms a restless child. When the oil is applied with long brisk strokes, it supports the brain functioning and sensory information. Through the touch and application of oil, the child becomes conscious of the position of his own body. Although the research on benefits of yoga for those with ASD is still in progress, there are quite a few promising studies that are worth noting. One such study was published in the ‘Journal of Ayurveda and Integrative Medicine’. The study examined the effect of yoga therapy for two months on children in the age group 8 to 14 years. While one group received daily yoga classes, in contrast to the control group. The yoga group showed positive changes in several areas including emotional sensitivity, social interaction, awareness and ability to self-regulate. The other positive change was improved eye contact and verbal communications that helped in interactions with other children and family members. Throughout the session, students were given a sense of safety and relaxation. The therapy sessions used strengthening poses like Trikonasana, Virabhadrasana, Sukhasana, and ‘om mantra’. Postures such as ‘Shavasana’ help children to self-regulate and calm emotions. Towards the end of study, the yoga group children showed better posture, improved imitation skills and reduced self-stimulatory behaviors. As children with ASD find it difficult to express themselves, and face problems with communication, majority of them are naturally aggressive, stressed and violent. Research on yoga and Ayurveda have shown that it helps such children considerably by reducing their anxiety levels and aggression. This is a unique mode of treatment, as it is not only effective in modifying their behavioural pattern, but, also helps channelize the extra energy in the right direction. In fact, it is a new mode of healing, as it totally springs out of Indian medicine, and the whole process, although it takes time, has shown effective results, suggest experts.